Pets Best reached out to us to design sev­er­al com­po­nents to sup­port their pet insur­ance com­pa­ny brand­ing. Their pet insur­ance com­pa­ny was found­ed with the mis­sion to end eco­nom­ic euthana­sia. And they strive to give pet own­ers peace of mind regard­ing finan­cial wor­ries that may come out of own­ing a pet. This mis­sion, fueled the design approach. They are the life-line for healthy pets, and help bring peace of mind to respon­si­ble pet own­ers in need. The brand­ed com­po­nents include a badge/logo design for their well-known annu­al nation­al con­tests. Align­ing their brand mis­sion with the indi­vid­ual sig­nif­i­cance behind each of the con­tests, was a pri­or­i­ty. Yet, these need­ed to retain visu­al con­sis­ten­cy between each design. As well as, serve as an exten­sion to their cur­rent brand. Based on our research, most badge designs con­sist of sharp lines and rec­tan­gu­lar forms. 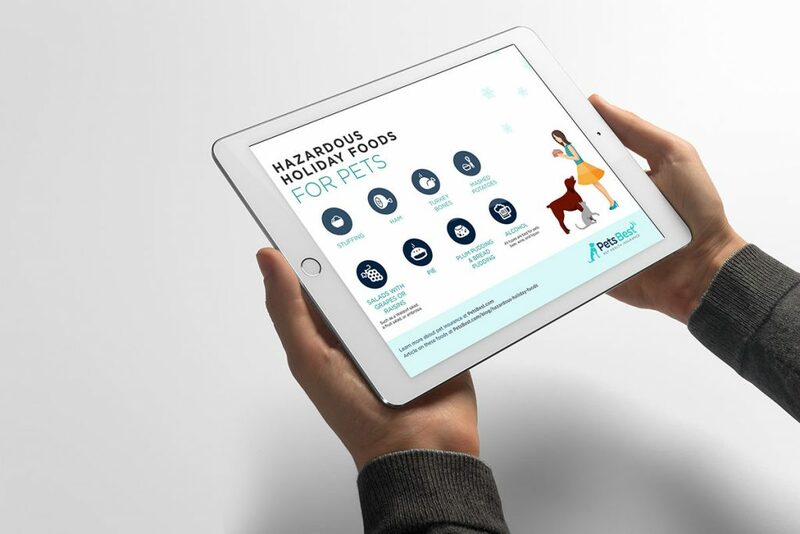 While this can some­times rep­re­sent a clean design, our goal focus was to visu­al­ize care. To do that, we infused a bal­ance of sub­tle sharp lines and added more organ­ic shapes. Fur­ther­more, we cre­at­ed a visu­al bal­ance by care­ful­ly con­sid­er­ing the mean­ing behind each col­or. These logos/badge designs are now used annu­al­ly in their mar­ket­ing, social media, web­sites, and our cer­tifi­cate designs. 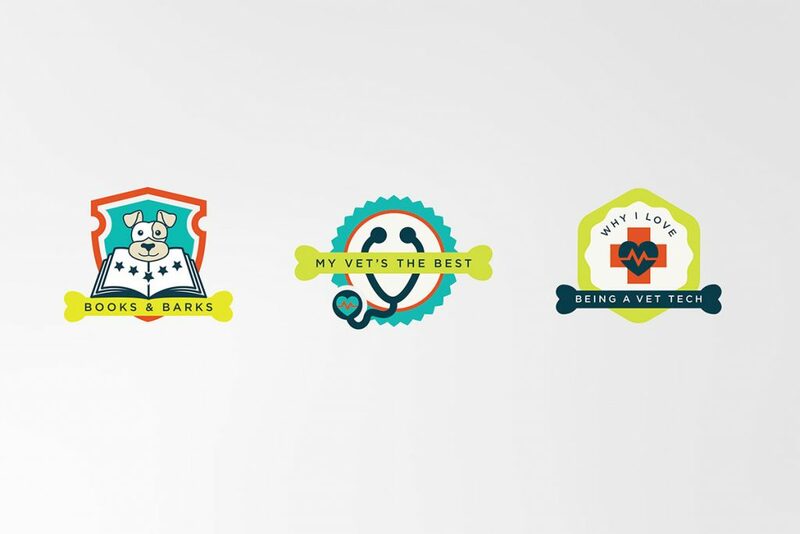 In addi­tion to the badge designs oth­er brand­ed com­po­nents were devel­oped. These include: design­ing new busi­ness cards, brand­ed visu­al assets for their newslet­ter and edu­ca­tion­al info­graph­ics. We also pro­vid­ed doc­u­men­ta­tion that explains the sig­nif­i­cance behind each of their brand col­ors to fur­ther sup­port their visu­al com­mu­ni­ca­tion. 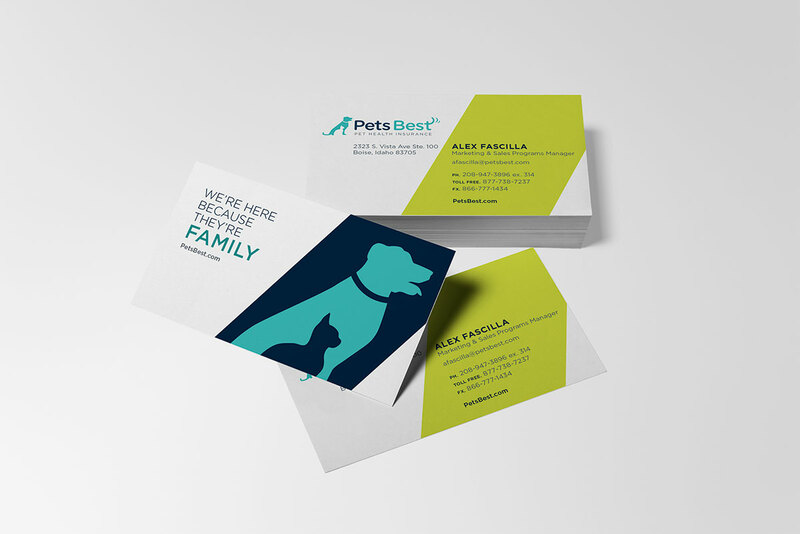 Our goal was to fur­ther devel­op their pet insur­ance brand­ing with new designs to sup­port their revi­tal­ized brand.